"We seek transparency. Learn how A&O works." All our houses have been awarded with two stars by the DEHOGA, the German Hotel & Catering Association responsible for the hotel star rating; excluding A&O Köln Dom and A&O Hamburg Reeperbahn. Some of our properties also received the extra ‘Superior’ for above-average performance in this category. Since 2007 A&O is tested by TÜV Rheinland annually with regard to our ‘Youth Hostel Quality Standard’. In this procedure the institution determines whether our offer ‘Youth Hotel’ has been implemented appropriately for young people. This is seen from the perspective of a customer, checking if certain standards were met, such as the cleanliness of the rooms, the hygiene in A&O’s bathrooms, the breakfast or the competence and friendliness of staff. Furthermore, the optimal organisation and consistent quality of the internal processes is evaluated as well as the compliance of youth protection regulations. We have met all the criteria to the satisfaction of TÜV and, as a result, have been vertified with the quality label ‘Youth Hostel Quality Standard’. ‘Reisenetz‘ is the Association of Youth Travel which awarded A&O with its quality label ‘checked quality’, interestingly being the first and single accommodation chain to have ever received this label. The Federal Forum for Children and Youth Travel runs its own test system called QMJ (quality management for youth travel). This quality label informs about defined standards and awards its stars accordingly, similar to the DEHOGA association. 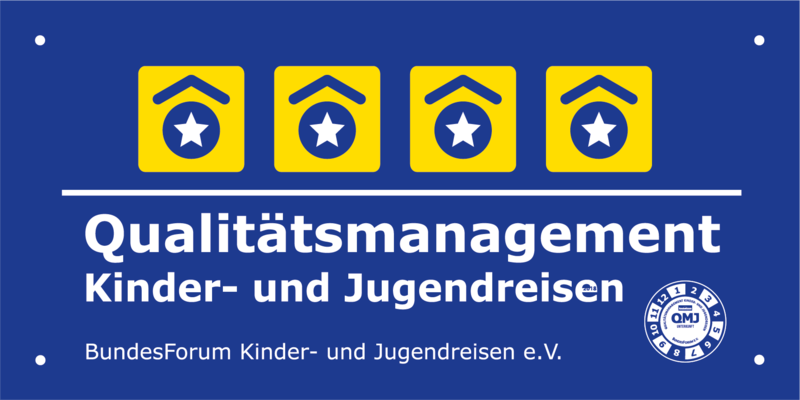 All German A&O hostels have been certified with 4 out of 5 possible stars.